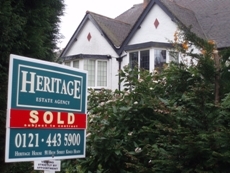 If you are thinking about selling your property, the first step is to contact Heritage Estate Agents in Kings Heath so that we can arrange for a valuation to be carried out. You can do this by either telephoning our offices or filling in the online enquiry form. When you are ready to market your property we can arrange a convenient time with you to measure and take the internal photographs of your property. We can also assist you in obtaining an Energy Performance Certificate which is a compulsory requirement when selling your home. We will market your property on various websites, within our high profile offices, within the local Property News and directly to our database of buyers. We will accompany the viewings where required and we will always request feedback from viewers and let you know this as soon as possible. Our sales team have a passion for selling and a tenacity that will result in us finding you a buyer and negotiating the sale for you. Experienced staff will substantiate the financial status of any prospective purchaser and once a sale has been agreed, facilitate the process through to exchange of contracts and ultimately completion of the sale. We understand how stressful and sometimes emotive the house selling process can be. That is why we try to make the transaction as straight forward as possible and liaise with solicitors, other agents and your buyer on your behalf. Search our database of properties for Sale in Kings Heath, Moseley, Birmingham.